DE ANZA III, BALLARD, 14-16 JUNE 2019 This year the acclaimed international writing program, Dark Angels, bring their unique three-day American Foundation Course to the Seattle waterways. We invite you to join us! Dark Angels is about how to bring energy, personality, imagination and, above all, powerful human connection to what you write – at work and in life. It’s about finding the language and stories that express what really matters, whatever you have to say. The three days will feature a packed schedule of short writing exercises, discussion and time for personal writing. You will draw on techniques from creative writing and storytelling practice as well as from the worlds of business management and branding, marketing and communications. -Thinking about language, writing and stories in new and unexpected ways. -With a treasury of ideas, techniques and styles that will inform and shape all your writing. -With new tools to solve tough problems that arise across writing projects. With an experience that lingers in heart and mind for a long, long time. 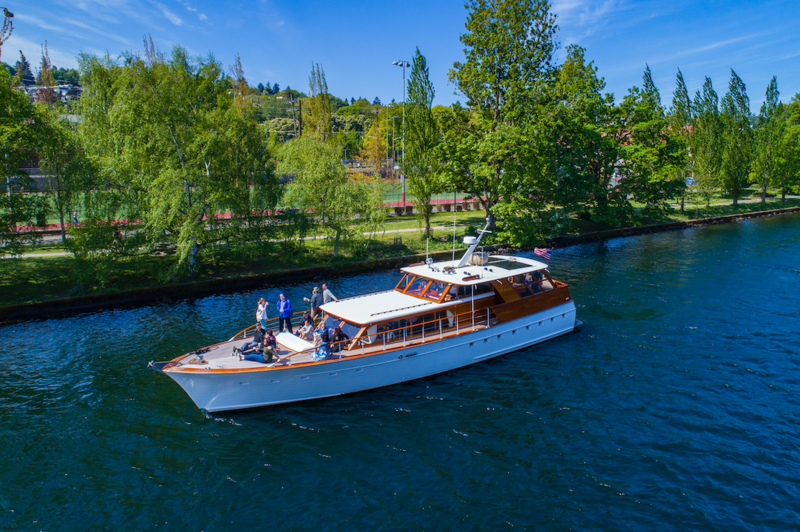 A sense of place is important to all Dark Angels courses – hence our choice of the luxurious 65-foot yacht De Anza III and a leisurely tour of the Seattle waterways for this unique writing experience. Further details will be provided on booking. The course runs through Friday, Saturday (both 10am–6pm) and Sunday (10am–4pm), 14–16 June. IMPORTANT: there are only six places available for this course. We will take people on a first come, first served basis. Please email Susanne Wakefield straight away if you wish to register – susanne@dark-angels.org.uk. To discuss any aspect of the course, please call Richard on 503.621.2215. Founded by three UK-based writers in 2004, Dark Angels have since run courses at locations throughout the English-speaking world and beyond, including the UK, the USA, New Zealand and many European countries. Our team of tutors are all seasoned business writers who also pursue careers in fiction, poetry and drama. That cross-over spirit underpins our approach to all our courses. Founding director Jamie Jauncey from Scotland, and Seattle-based US associate Richard Pelletier will run the course. Both novelists, Jamie and Richard have many years’ experience of helping individuals and organisations find their voices and tell their stories. 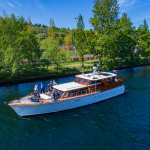 Also on hand will be De Anza III owner and skipper, Ted Leonhardt, well known as an advisor and mentor in Seattle branding and creative circles. Anyone interested in language, writing and the role of stories in good communication of all kinds. Our alumni include global brand guardians and senior corporate communicators; winners of copywriting awards and agency founders; authors of business books, novels, biographies and screenplays. Recent US alumni have come from EY, Takeda and Electronic Arts. Others have come from Bang & Olufsen, Barclays, The BBC, BP, British Airways, Carlsberg Breweries, Innocent, Interbrand, Lloyds, McKinsey, Sotheby’s Europe and many more. We take our name from a book of the same title by co-founder John Simmons. John references Milton’sParadise Lost with the suggestion that we find our creativity in our flawed human nature. Visit our website at www.dark-angels.org.uk, emailsusanne@dark-angels.org.uk or call Richard on 503.621.2215. I read this article and found it very interesting, thought it might be something for you. 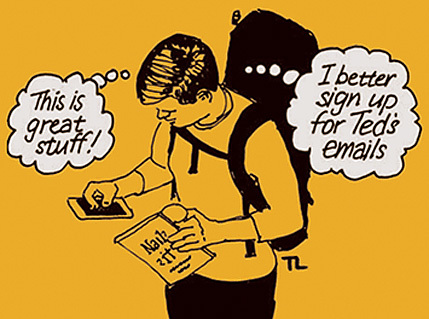 The article is called Dark Angels in Seattle: Creative writing for business and is located at https://tedleonhardt.com/dark-angels-in-seattle-creative-writing-for-business/.